Dubai International Digital Asset Exchange (DBEX) has completed a pre-A round of investment from 19 leading global and Chinese investors including Sino-Burmese Fund, Hanfor Capital Management and Shangshan Wealth and Investment. The pre-A round investment is worth hundreds of millions of RMB. It is one of the largest such investments for a new blockchain project in recent months. The significant investment marks an important milestone for DBEX, as it forges ahead with plans to launch a glamorous brick-and-mortar cryptocurrency exchange located on the 151st floor of Burj Khalifa in Dubai, the world's tallest building. With an office of 3,800 sq m on top of Dubai International Financial Centre (DIFC) at Burj Khalifa, which is the world's tallest building at 828 meters, DBEX aims to bring a Nasdaq-style exchange to the digital asset universe and to provide a venue that will define the future of digital asset exchanges. DBEX is the world's first major physical digital asset exchange and is backed by Dubai-based The Blockchain Group. It will provide a world-class audit system as well as over one hundred relevant listing standards for cryptocurrencies that will be listed on its exchange. With an independent blockchain research and assessment system, DBEX will analyze projects' whitepapers, application scenarios, technology, founding teams, probability for application and progress to achieve multi-dimensional evaluations. This will create an exchange where only the highest-quality tokens can be listed. In addition to adopting top-level security standards for unlimited scalability, super server farms and information processing technologies, DBEX is also cooperating with Bairun Baicheng Group, a leading company in the electronic identity information encryption and authentication field, and Silicon Valley Blockchain Institute. With these partnerships, DBEX hopes to build a trust mechanism based on digital asset transaction identification, so that user information and transaction data are processed through three layers of encryption to achieve security protections on par with central banks. This will create DBEX's unique advantages in the cryptocurrency exchange space. 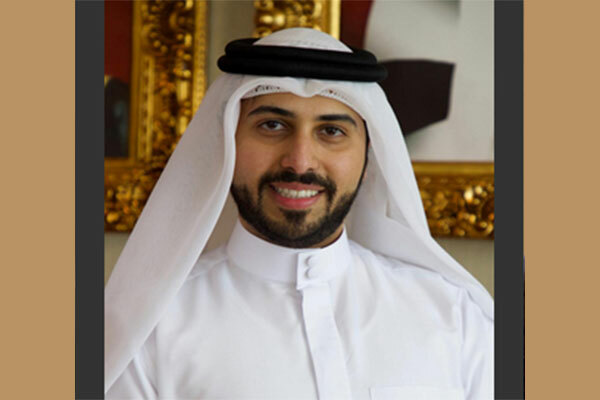 "I am pleased to share today's exciting news as our team continues to work toward building a world-class digital asset exchange that's different from anything the world has seen before," said Ahmed Abdullah Mohammed Al Sharif, chairman of DBEX. "We are strong believers of the potential of blockchain technology and the future of digital assets, and DBEX will become a central venue where innovation in blockchain is recognized just as how Nasdaq provides a stage for the brightest moments of IPO for technology companies." DBEX is in the process of completing more investment rounds to support beta testing, third-party security audit, code review, global node announcement, and official launch of the digital asset exchange in Dubai during the fall 2018. Before the end of the year, DBEX aims to be in full operation, with third-party wallet integration, iOS and Android app releases completed. DBEX is one of the major investment projects of The Blockchain Group. The Blockchain Group has a strategic partnership with The Future Blockchain Summit and its organizer Smart Dubai Office, and is aiming to work closely with various government entities.